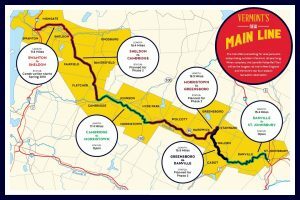 The Danville Village to Village Project is a grant-funded effort that seeks to create a master plan that will provide Danville with a “road map” to enhancing connections along the Lamoille Valley Rail Trail (LVRT) in order to maximize outdoor activity, sense of place and economic vitality. Why focus on the LVRT? Because the LVRT winds its way through Danville along the Route 2 corridor, providing access to a number of the community’s assets, including Joe’s Pond and Danville Village. It is a popular resource for locals and visitors alike, which makes it a valuable asset to Danville from an economic and recreational standpoint. 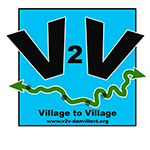 The Danville Village to Village Project is funded through a Better Connections Grant and is overseen by a Town appointed Steering Committee that includes members of the community, the Regional Planning Commission (NVDA) and the two state agencies that manage the Better Connections Program (VTrans and ACCD).